On January 26, 2017, members of a local community video production team shot a short video about the benefits of orange-fleshed sweet potato. The video was shot in the department of Koungheul within the Kaffrine region and starred actors who are respected members of the community. 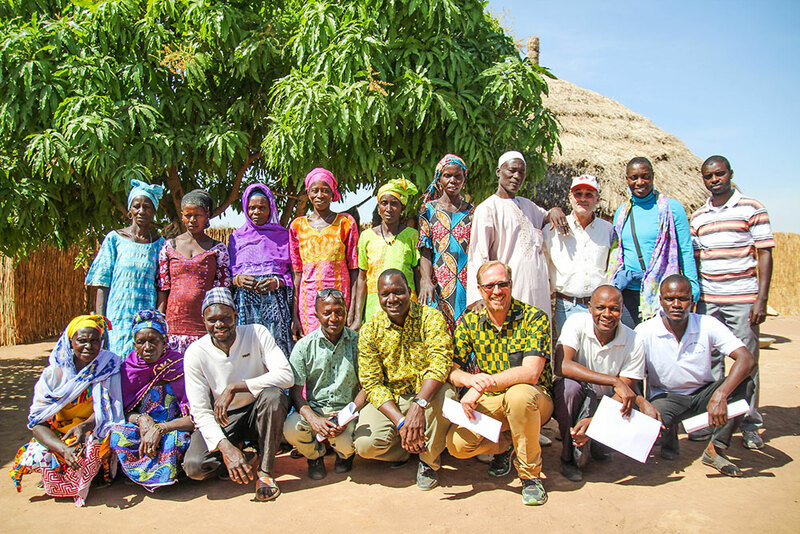 The production team was comprised of local SPRING/Senegal partners including local radio station Radio Bambouck 92.1FM. 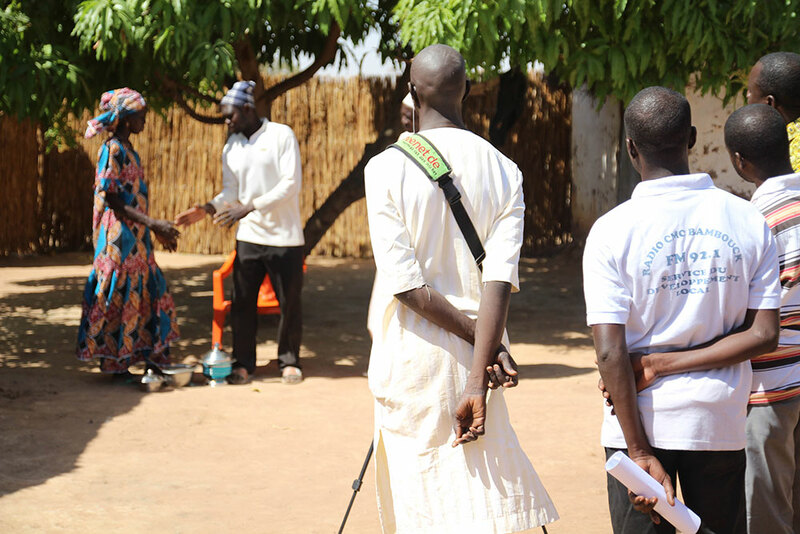 This activity took place as part of SPRING’s social behavior change communication (SBCC) approach which involves training local partners to produce videos promoting nutrition and hygiene best practices. 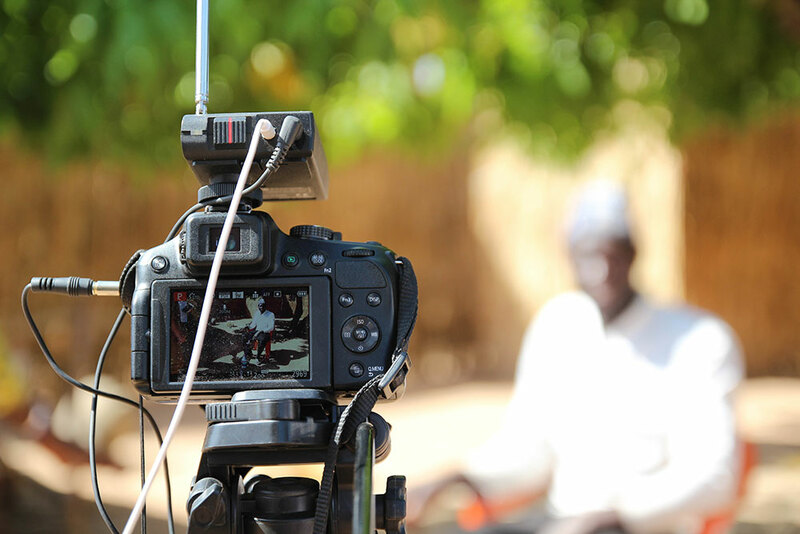 These videos are then disseminated to the broader community by trained mediators. A local cameraman frames his shot. SPRING SBCC Advisor Albert Boubane coaches the local video production team. Partner from Radio Bambouck 92.1 FM assists as part of the video production team as actors rehearse their lines. Two community members being filmed eating a delicious meal containing orange-fleshed sweet potato. 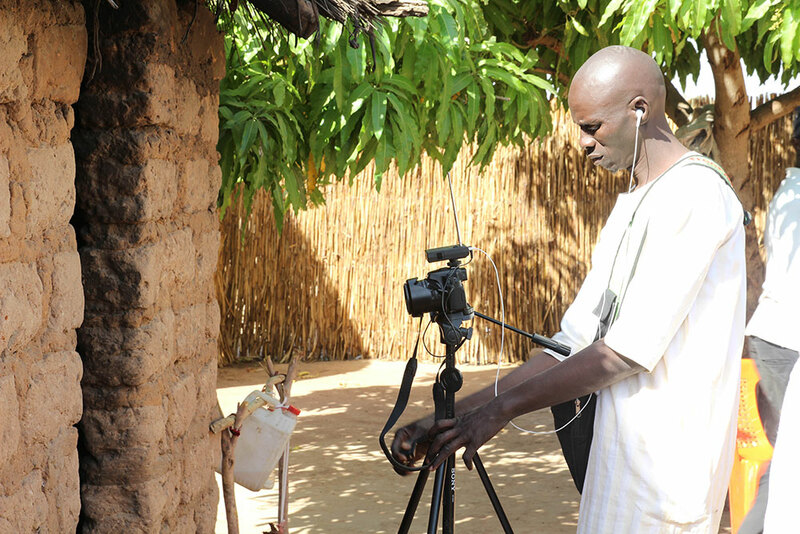 The camera is positioned to capture a respected local star already known to exhibit and promote nutrition and hygiene best practices. 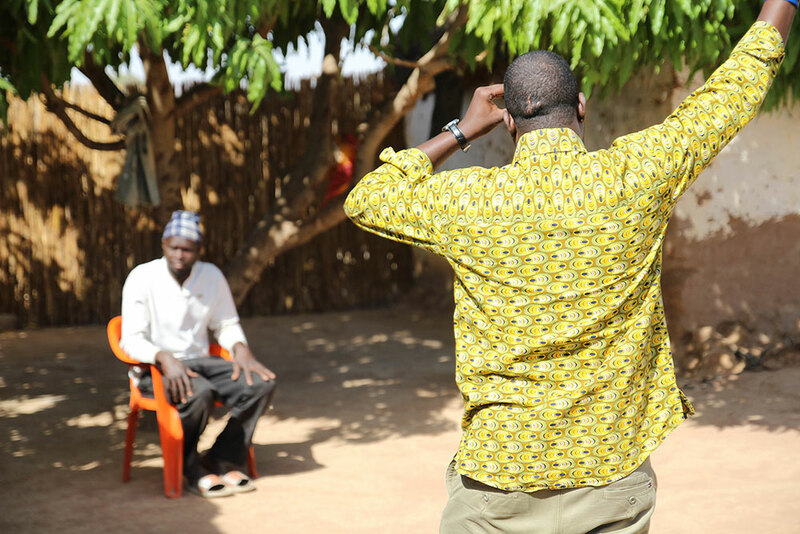 The video production team, assisted by SPRING social mobilization officer Ibrahima Ly, discuss the best positioning for their shot as excited community members look on. 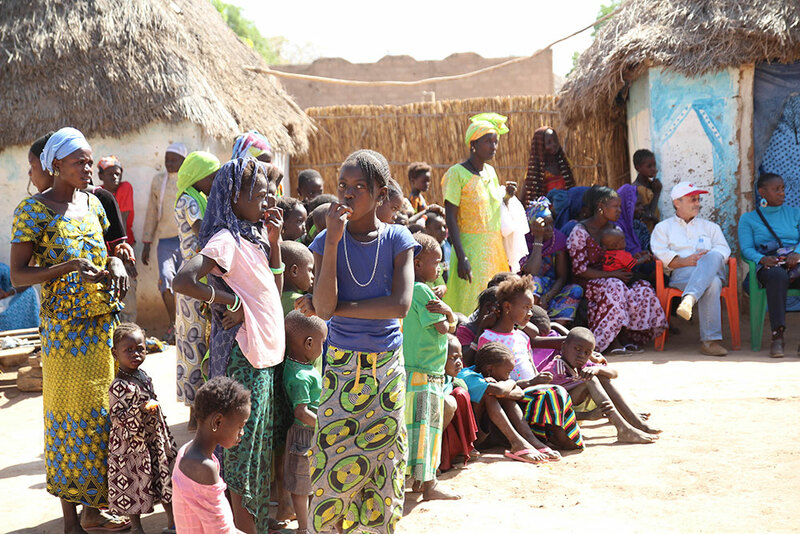 Community members are joined by Bob de Wolfe, SPRING/Senegal Chief of Party and Altrena Mukuria, SPRING Director of Country Initiatives (far right) as they watch the video shoot unfold. SPRING staff pose with video production team, actors, and a few community members at the end of the day’s shoot.